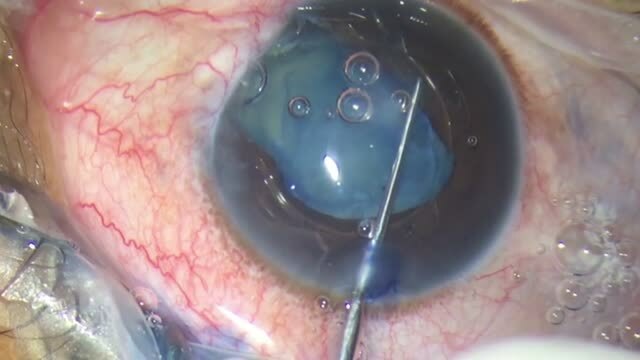 This video demonstrates the use of a novel pupil expansion device called the Xpand made by Diamatrix that allows surgeons to perform femtosecond capsulorhexis and lens fragmentation in patient’s with small pupils preoperatively. This ability to perform femtosecond laser capsulorhexis can be very helpful in patients who have chosen a premium IOL like the Crystalens but have poor pupillary dilation. We used our Victus laser to perform the capsulorhexis and lens fragmentation under viscoelastic with a complete capsulotomy. The Xpand can be inserted thru an injector and also removed using the injector for easier handling and storage. Manual removal techniques for insertion and removal are also possible.